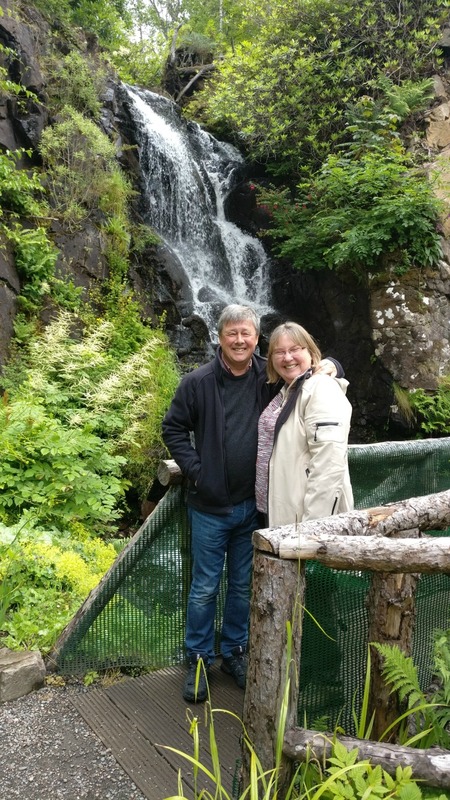 Many of our visitors to Craigwell Cottage are travelling with a children, so we thought it would be a good idea to put together some ideas of activities which would suit a family with small children holidaying in Edinburgh. Edinburgh Zoo is a firm favourite no matter what age you are! It’s open every day of the year – including Christmas Day, so no matter when you visit Craigwell Cottage, you’ll be able to pay a visit to Edinburgh Zoo during your stay. You’ll find a detailed post about visiting Edinburgh Zoo from Craigwell Cottage here. A short walk away from the cottage and providing spectacular scenery in the centre of Edinburgh, you’ll find Holyrood Park. You can take a stroll round the low level paths and can circumnavigate the extinct volcano with a buggy or stroller by following the roadway. Younger visitors are probably not quite ready to try a more adventurous walk up by Salisbury Crags, or scale Arthur’s Seat (these two prominent geological features which give the ‘Sleeping Lion’ skyline). But do take them on a visit to Historic Scotland’s Education Centre at Holyrood Park, which is shown on the Ranger leaflet which you can view here. There is a play park off Queen’s Drive between the Dynamic Earth exit and the Commonwealth Pool exit. From Craigwell Cottage turn right and walk down Calton Road to the end, then turn right and follow the road past the front of the Scottish Parliament and you’ll find the entrance to Holyrood Park. The Ranger Centre is on the grassy area known as the Parade Ground behind Holyrood Palace – also a great place to kick a ball or fly a kite! When travelling with small children it’s sometimes hard to find the places that the local Mums and Dads know about for providing activities for kids to run off some of their energy and give them a safe place to play. One of the favourites when our children were small is the play area at the Royal Commonwealth Pool, called ‘Clambers’ – there’s a soft play area where children can climb and explore in relative safety, and there’s a coffee shop where you can buy light snacks and refreshments. The swimming pool was originally constructed for the 1970 Commonwealth Games and was opened again in March 2012 after a massive re-fit. Especially for little ones, there is a 0.8 metre deep kids’ pool which is also worth a visit if your kids enjoy splashing about or practising their swimming technique. The Commonwealth Games in 2014 will see the Royal Commonwealth Pool in Edinburgh being used for the diving events. From Craigwell Cottage you can walk through Holyrood Park – it’s a steady uphill climb and probably only manageable by young ones if they’re travelling in a buggy. At the Holyrood Palace entrance turn to your right and follow Queen’s Drive to the Commonwealth Pool exit (it’s probably best if you refer to the Ranger Service map for directions). A shopping centre with a difference – there’s plenty available at Ocean Terminal for a day out for all ages. 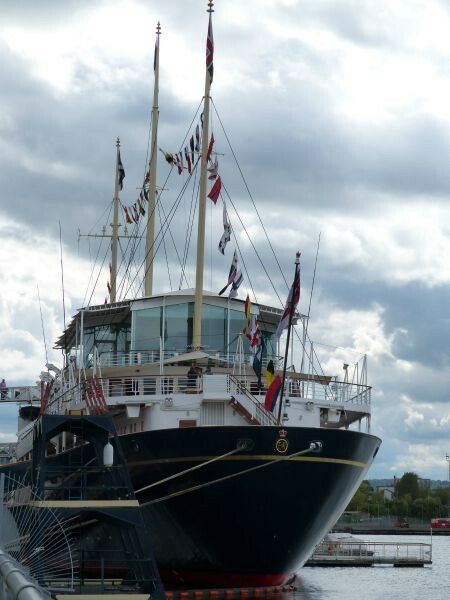 The former Royal Yacht Britannia is moored at Ocean Terminal where there’s a great visitor centre and tours of the ship. You’ll also find Ocean Play Centre near the entrance to the Royal Yacht, where small children can have an hour or so of adventurous activity while Mum or Dad relaxes with a coffee and a good book! It’s a reasonably priced place to have a child friendly lunch or snack too. There’s also a Vue Multi-Screen Cinema at Ocean Terminal where you can catch up with all the latest releases. From Craigwell Cottage you can get a bus directly from the bottom of the Royal Mile, near the Palace of Holyroodhouse opposite Queen Mary’s Bath House – route 35 passes Leith Links before arriving Ocean Terminal. If you’ve found some good ideas for activities with young children, do let us know in the comments below!